It’s time to bring out the pumpkins! But no need to grab the real deal when you can whip a DIY fall pumpkin up yourself. How fun are these?! A few canning jar lids is all this one takes. Industrial fall at it’s best! This rustic leafy pumpkin is downright cool. Love it illuminated as well! 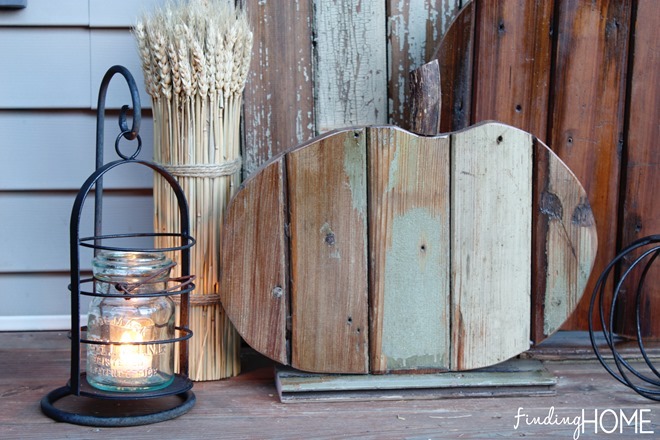 Reclaimed wood fanatics will be pleased to know you can make a pumpkin with wood scraps you probably already have. Love this! Not enough? I agree! 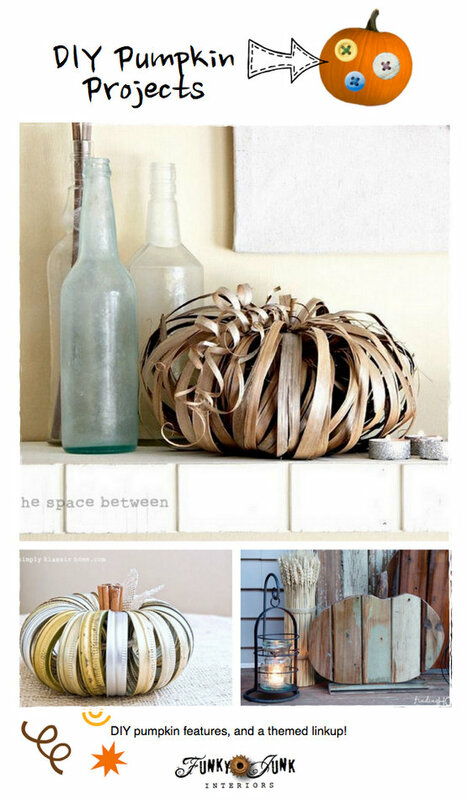 So here’s a fabulous collection of amazing DIY pumpkin ideas from Hometalk all in one easy to read clipboard! 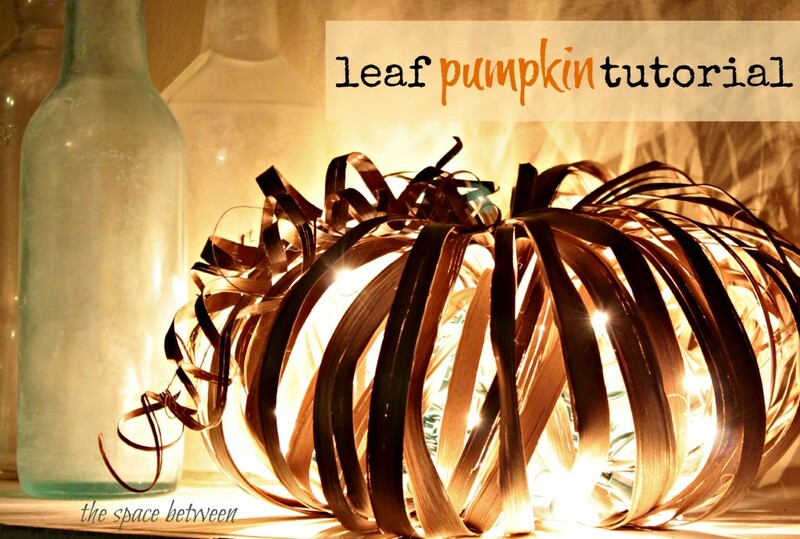 Got a great DIY pumpkin project? Wow….you’ve got some pretty cool pumpkin ideas listed today and it is getting to be that time of year, isn’t it? Thanks for letting me link up my new slipcovered sofas tonight. So happy I could link up this week! Thanks so much Donna! I love the pumpkin theme! Such cute ideas! So many great pumpkin ideas, thanks! Have a great week end. So many cool things to see! Thanks for hosting, Donna! Thanks for the party, Donna! Great theme to kick start the fall festivities! LOVE all the great pumpkin projects! thanks for hosting, Donna! It’s almost cool enough here to think Fall is on it’s way. Just needs to stay below 90 degrees! LOL. Love the party tonight, at least I can feel like Autumn is coming over here! It’s hard to get into the fall groove with upper 90 – 100 degree heat here in TX. However, those pumpkin posts had me wanting to try some. First time linking here. Love the pumpkin ideas. My favorite…pumpkin theme! Great ideas here, I’m off to check them out. Thanks, Donna! 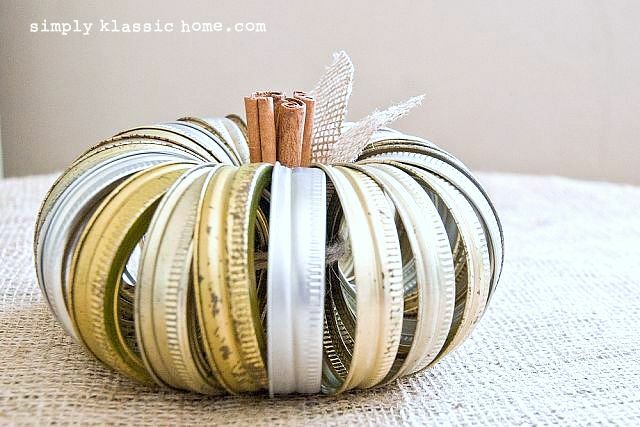 I love repurposed projects for fall and Christmas too. Thanks for sharing them, Donna. Oh that canning ring pumpkin has captured my heart! Thank you for hosting and have a great weekend Donna! What amazing DYI pumpkin projects Donna! 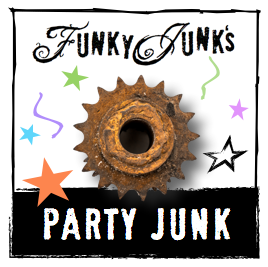 Thanks so much for always hosting such a fun party! Thanks for hosting another great Party Donna! Hope it’s okay if I added my pumpkin from last year – have to start getting out the Fall decor for this year! Donna!! 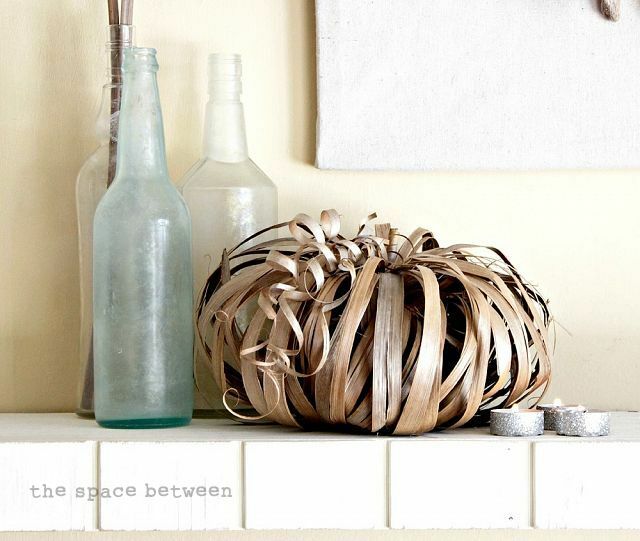 Thank you so much for including my palm frond pumpkin in your great pumpkin features. For some strange reason a new idea popped into my head this year … a pumpkin from a slinky!! So happy to link it up, as well as a bed frame with old wood post legs made from a beam we snagged from our neighbor’s garbage pile. Hope you’re having a great weekend. Hi Donna Wow! theres alot going on here:) Thanks so much for hosting and have a wonderful week!